A: Movement Connection gladly accepts VISA, MasterCard, American Express and Discover. Money orders or personal checks are accepted; please contact a Movement Connection representative toll-free at (877) 326-2300. Q: I would like to place an order however I’m not sure what size I need what should I do? A: Please note that sizing charts are a guideline and do not guarantee a fit. 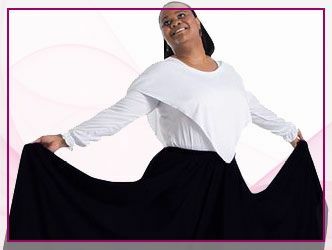 You are always welcome to call Movement Connection customer service toll-free (877) 326-2300 for sizing assistance – refer to the Size Charts to know what measurements to have readily available. Q: How do I change my shipping method after I placed my order? A: Please call Movement Connection at (877) 326-2300 and a customer care representative will modify your order. Q: I placed an online order and realized I gave an incorrect shipping address, how do I change it? A: Please call Movement Connection at (877) 326-2300 and a customer care representative will change it for you. A: Please call Movement Connection customer service toll-free at (877) 326-2300. Q: I just placed an order, when will I receive my package? A: MovementConnection knows you are excited to receive your package, please see the Shipping for general guidelines. Standard delivery is 7-10 business days in general. A: Once your package has been sent out, you will receive an email notification along with a tracking number from Movement Connection that can be used for e-tracking. You can also log in to your account and view your tracking information. Q: I received a call that my item is on backorder, what do I do now? A: Please call Movement Connection at (877) 326-2300 and we will find you a suitable substitution. A: Please be advised that UPS orders may be shipped “signature required” in accordance with UPS policies and procedures. A: Movement Connection does understand that at times returns are necessary; please see Returns so that we can better assist you. A: Returns are processed on a daily basis. Please refer to the Movement Connection Returns for further information. A: Yes, Movement Connection shares your concern of safety of your personal information. We use the latest in security systems to protect your personal data and credit card information from unauthorized access. Q: Can I return or exchange an item purchased through the website in the store? A: No, all returns and exchanges must be done through our Return Department. You must call to get an RA# and mail the return or exchange to the store. You must pay for shipping back to receive the returned or exchanged item. Q: Can I receive online prices in the store? A: No, in stores prices are different then online prices. With your in store purchase you receive expertise fitting, availabilty to try items on and help with your purchase. With your online purchase you pay shipping. Ohio customers pay taxes both in store and online. 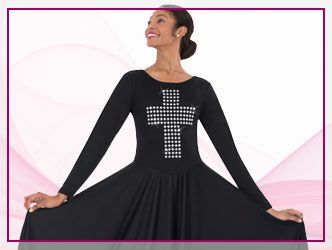 A: Movement Connection currently has praise wear catalogs available; please email us your requests along with your name, address and name of your church or studio.